An engineering student from the University of Wisconsin–Madison has won an international competition sponsored by GE with his idea for proving that you can, in fact, unring a bell. 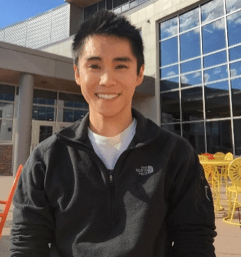 Chris Nguyen, a fourth-year biomedical engineering major in the College of Engineering from Waukesha, Wisconsin, is one of three winners of “Unimpossible Missions: The University Edition.” The contest challenged students around the world to select a catchphrase (such as “a snowball’s chance in hell”) and imagine an experiment to debunk it using GE technology. The ideas and experiments poured in from across the globe, and in the end, the challenge received over 575 entries from over 375 schools and 35 countries. To debunk the idiom “You can’t unring a bell,” Nguyen theorized that he could use foam to isolate the bell’s ring and eliminate unwanted echo. From there, he will use a microphone and GE’s subsea acoustics system to analyze the exact frequency and amplitude of the bell. Finally, he will produce the exact same sound in inverse phase — thereby creating destructive interference. The interfering sound will play over speakers, resulting in noise cancellation of both the bell and the interference, and creating absolute silence. Nguyen will receive a 10-week paid internship in 2017 at the GE Global Research Center in Niskayuna, New York, and a scholarship of up to $100,000 to continue his education. He’ll also have his idea filmed as part of GE’s next “Unimpossible Missions” series. GE representatives will visit campus Sept. 12 to celebrate Nguyen’s win. One of last year’s “Unimpossible Missions” winners attempted to send a snowball to hell — and bring it back safely.